DSHS is hosting a community meeting at the Fircrest Activities Building next Wednesday, March 29 from 7:00 to 8:30pm to present its update on the proposed master plan for the property. DSHS has some very different ideas for Fircrest than were expressed in earlier community meetings. 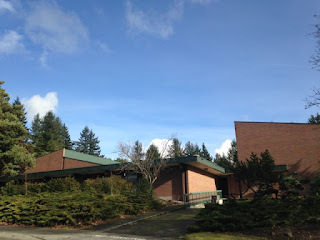 It appears that DSHS now intends to implement numerous suggestions from the proposed 2010 master plan (which never went anywhere) including reducing the Fircrest Center's footprint while using 20-plus acres of "excess property" for such things as "mixed-income residential", "townhouses", "governmental offices" and "public service uses." What DSHS is proposing could result in some very substantial changes to Fircrest and to the surrounding neighborhoods. I encourage you to attend this meeting to learn what DSHS has in mind as well as to voice your opinion about changes being proposed for our community.